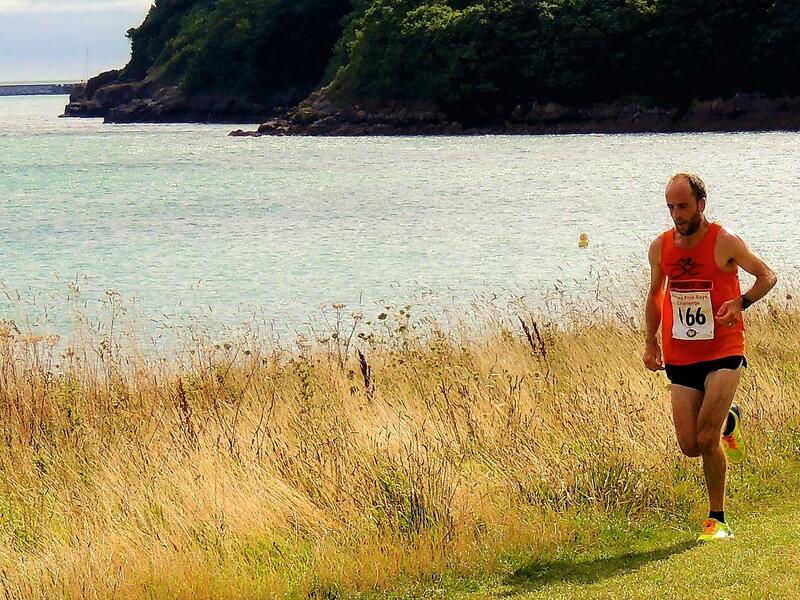 Torbay’s newest race also saw its newest running club claim top prizes at the Five Bays Challenge as Arran Tocknell took first place. Starting and finishing at Broadsands Beach, the course passed through Churston village and headed out to Brixham before winding its way back along the challenging coastal path through Oxen Cove, Fishcombe Cove, Churston Cove and Elberry Cove. Arran led from the start and finished over three minutes ahead of second place with teammate Andrew Longthorpe claiming third place. Wendy Urban showed her strong off road running with third female overall while the team of Arran, Andrew, Jerry Hocking and Neil Downer took the team prize. 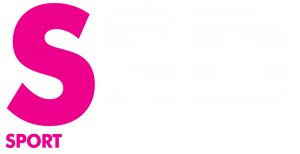 Jon Parkinson and Gary Burman headed to Dorset and despite taking on different distances both had to begin their race with a particularly challenging sea swim that saw several people having to be rescued. 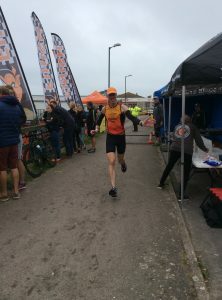 Jon took on the longer distance of a 1500m swim followed by an undulating 40k ride through the Dorset countryside before returning for an energy sapping 10k run that included a climb to the finish line. Facing a tough field of triathletes Jon produced a top ten run split to finish strong in a time of 2.27.40. 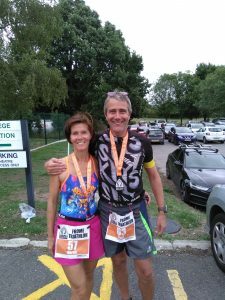 Karen Frissen completed her first ever triathlon and was joined by husband Paul at the Frome Sprint Triathlon. Starting with a 400m pool swim, the pair then enjoyed a 23k ride around the beautiful Somerset and Wiltshire countryside before the final 5k run across a mix of road and tracks. Both were please with their times as Paul crossed the line in 1.39.20 and Karen was not far behind in 1.46.50.